UK HOT TIPS | Free UK Racing Tips and Rants! However in the mean time they are going to use the trainers from both sites to offer members on From The Stables and members on Trainer Quotes more trainer reviews and inside info than they currently get at the moment. This could be a great time to join www.fromthestables.com now as if you are a member when they merge you will get the reviews from over 30+ trainers. Using my promo codes you can join for a variety of trial periods before signing up a permanent member at £30 per month for both Trainer Reviews and Tipster NAPS and NB tips. You can see the new UK Horse Racing Tipster site at it’s new location here. The UK Horse Racing Tipster had to remove his old members site with over 550+ systems due to his old company moving the site to a French server which doesn’t allow access to online betting sites, including Betfair which my whole site was based around. This company really fxxked things up for the site as it was doing well, had lots of members and was making ROI for hundreds of systems and it’s members. Therefore until he can get his AutoBOT back up and running somewhere that allows online betting in their country you can access some informational posts from the old site at https://www.ukhorseracingtipster.com. He will try and keep it updated with details from his other site From The Stables with news about any tipster competitions at Cheltenham or Royal Ascot as well as promo codes or betting systems. You should also check out his Facebook page which has grown a lot since it was restarted. He has an international tipster who provided us with a win double at Sha Tin over the weekend as well as tips from a variety of tipsters on racing and football. Of course he also provides his own tips and had a good last week with many winners for anyone following them. 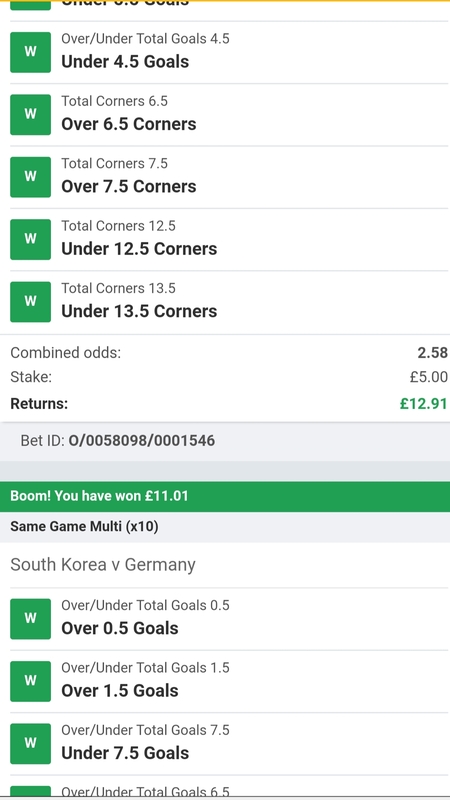 As well as the usual place doubles, win singles and LAY bets he has created a new football system based around Betfairs Same Game Accumulators. You can read about the system on the page and he has already completed one revolution of it, which doubled my own betting bank. Once you get used to the idea of same game accumulators then it is pretty simple. 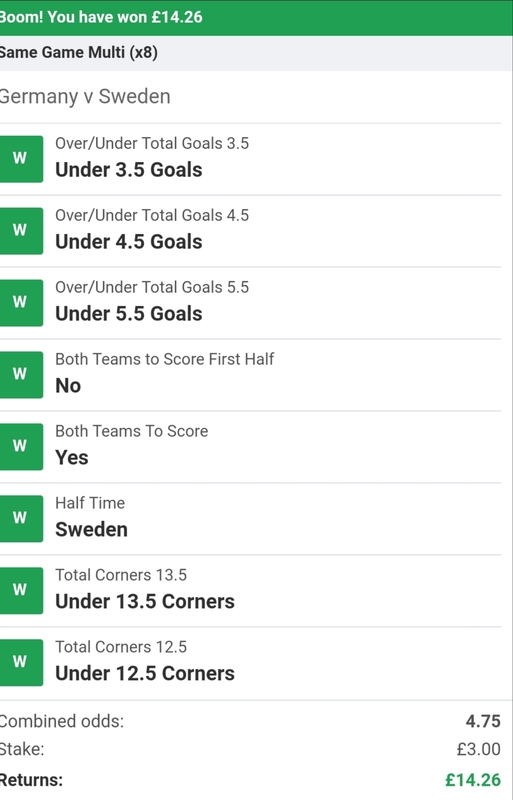 There are lots of examples of winning bets and example same game accumulator bets to follow including some where no winning team needs specifying. Round 1 – Choose a stake e.g £20 and split it equally on two same game accumulators. Round 2 – If both win you carry on. If one loses stop and start again. In this round you split the winnings from both round one matches by 4 and place 4 more same game accumulators or split it up e.g 1 single, 2 same game accas and a win double. Round 3 – If you lost all matches in round 2 stop. However if you are in profit remove your initial stake e.g £20 and then divide the remaining winnings by 2. Keep one half of the winnings as profit and carry on with the rest. 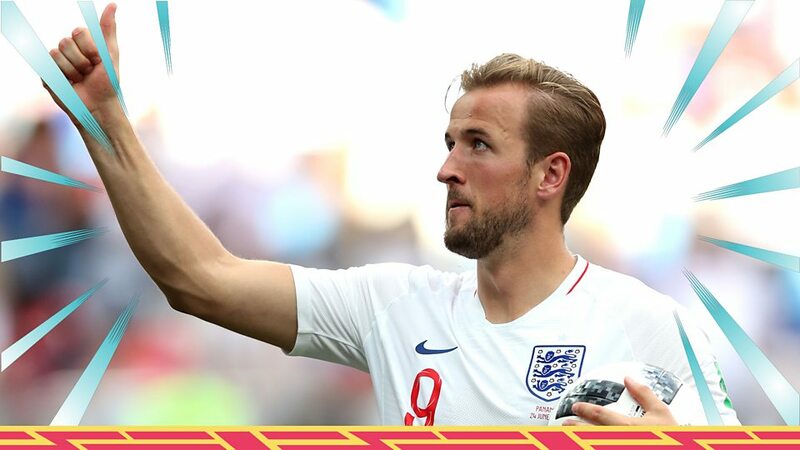 This way you have not lost any money and are now betting with the bookies cash. This round you bet on either one or two games with higher stakes and higher risk e.g more spots on the same game acca, or a win treble etc. More information can be found on Facebook and the new site. These are a list of my promo codes for the top racing site From The Stables. Our on track tipster Ken Pitterson has been on fire lately with both his NAP and NB tips winning for multiple days in a row. Top Notch, Themaxwecan, Sharp Response and Ribbie Valley. Eve Harrington at Southwell who won, Sun Hat at Kempton who came third, Groundunderrepair who came third, First Assignment who came third, Knocknanuss who came second, Batteoverdoyen who won, Chiefofchiefs who won and Bastien who came third to name but a few. The best thing is that members get to receive tips straight from the parade ring at a different race course each day on the live feed as well as his standard NAPs and NB tips. So if you want live tips straight from the parade ring of Kempton, Ascot, Epsom, Newbury and Cheltenham then From The Stables delivers. This is on top of the standard daily reviews from our trainers that we provide our members from 11am. Get inside information from the stable. It is pretty easy to work out whether the trainer thinks the horse isn’t going to win from his language even though he is prevented by BHA rules from actually saying “this horse will lose”. Language like “he won’t like the ground“, “we are trying a new trip and hope he makes it“, “we are at most hoping for a place position” can give you the hints that you need before laying or backing a horse. “he’s the one they have to beat“, “we are hoping for a win“, “if he doesn’t win we will be very disappointed” are all clues that the trainer thinks the horse is a good bet. Obviously he doesn’t know if the horse will win but it gives you an edge over other runners when you know if a favourite or 2nd favourite has taken to wearing blinkers for the first time or had a wind operation and expected to run well. The From The Stables team provide NAPS and NB tips themselves and they also have top jumps jockey Noel Fehily providing a weekly blog on his rides which can be very helpful indeed. Here is a list of the latest promo codes from The UK Horse Racing Tipster which you can use to get cheap trial on the From The Stables racing site. The UK Horse Racing Tipster now has a static informational site with key info such as course bias towards favourites (Flat and NH), reading form guides and systems for big races such as The Derby, The Grand National and The Prix de l’Arc de Triomphe which have provided members of the old site with many winners over the years the site was running including Treve, Golden Horn, Enable and the first 3 of 4 from the 2018 Arc. If you want to join From The Stables be-warned that they sometimes turn the site off to new subscribers due to over demand as they want to keep the information to a limited number of people. However if you want to join and can’t due to the subscribe page being blocked then you can use anyone of my bypass Promo Codes that cost a small amount to get you into the site and provide you with much longer trial days before your choice to commit to a full membership. You can use any of the non expired promo codes below. Just enter the code on the Subscribe page here. The latest top promo code is the UKHORSERACINGTIPSTER2019 code that gives you a full 20 days on the site to get used to how it works, how trainers talk about their runners, receive daily reviews, NAPS, NBs and tips from From The Stables and Ken Pitterson, as well as access to Noel Fehily’s blog and the members forum before deciding whether to cancel or pay for a monthly membership at £30 per month. You can follow The UK Horse Racing Tipster either on his new site at www.ukhorseracingtipster.com or on Facebook where he provides daily tips for all kinds of sports, racing, football, golf as well as examples of same game accumulators for football matches. Just click the image below to go to the page now and if you like what you read, please like and follow the page and spread the link to your friends. We had to stop new members from joining the site recently a number of times due to naughty people taking our quality tips from trainers and selling them on or giving them away. Therefore instead of blocking all new members who have shown such an interest in the site I have created some new promo codes that will let you join the site for a trial before full payment at a low price! So if you want to join From The Stables whilst the system is not allowing new members to join ,due to over-subscription and naughty people stealing our top trainer info. Then you should be using these promo codes to bypass the block and pay just a little bit of money for the trial. You can always cancel before the trial is over and the monthly payments of £30 start by going into PayPal and deleting your subscription. Tell your friends and get on the top inside stable info straight from the stables. So pick the trial you want to experiment on the site with trainer reviews, paddock side tips, NAPS and forums to chat to other members here www.fromthestables.com and just enter the promo code of your choice. Well 16/1 Masar put Roaring Lion into 3rd place and Saxon Warrior into 4th. This has halted Coolmore’s hope for another attempt at the triple crown for another year. It’s just good that Betfair even on Sportsbook lets you pick the no of places you want to bet on. I had EVENS when Roaring Lion was at 11/1 in the 5 To Be Placed market which was quite good odds for the supposed 2nd/3rd favourite and covered my bet for it to win. Cracksman ran his race and nipped it on the line on Oaks day in the Group 1 Investec Coronation Cup just beating the 33/1 Salouen. Hawkbill winner of the Dubai World Cup Sheema this year looked the class horse until he faded back into 5th place. Of course AP O’Brien won another Oaks on 7/1 Forever Together, with another one of his sons D O’Brien bagging another Oaks classic for Ballydoyle’s collection. Read the article below for more info but on www.fromthestables.com you can still get promo codes using he code is: UKHorseRacingTipsterCheltenham. Click this link to go direct to the subscribe page with the promo code already filled in. I’ve just noticed but the Cheltenham promo code for getting members to join the tipping and trainer review site, www.fromthestables.com, is still active. I am sure they will be taking it down soon so get in fast if you want top tips from tipsters, a forum, and 20 trainers (flat/NH) giving reviews on their horses each day, how they will perform, are they the one to beat, worthy a bet or best watched then that kind of info can be invaluable. I just noticed that the Cheltenham Festival Promo code to get new members interested in the site is still active. The code is: UKHorseRacingTipsterCheltenham. Click this link to go direct to the subscribe page with the promo code already filled in. It won’t be up for much longer, probably until they do some house keeping over the Easter week. However if it does go down you are still left with a couple of UK Horse Racing Tipster codes which you can use to get better deals than their standard codes. You will need PayPal to join the site. Remember these codes could go at any moment and the expiry dates could change. It looks like you want to take advantage of the great £5 10 days Cheltenham Festival trial from the UK Horse Racing Tipster. During the festival you will get trainer reviews on their horses, NAPS, TIPS, Paddock parade information in a live blog and a forum to discuss your thoughts with other members. You are lucky to have found this promo code and if you want to carry on being a member of the site after the 10 days trial it will convert into a £30 monthly subscription from PayPal. This means if you don’t like the site, and I don’t know why you wouldn’t then after your trial period on From The Stables it will convert into a standard £30 monthly subscription. You can cancel this from within the site as a full member during your trial or on PayPal. If you want to have a good look around first at the trainers, recent, results and the offers of owning your own race horse or visiting a stable before using the promo code then do so, as you can enter the code on the subscribe page, in the appropriate box.